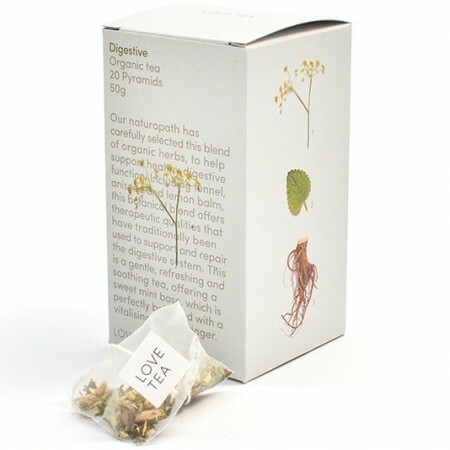 An organic and fair trade herbal tea to help support healthy digestive function. 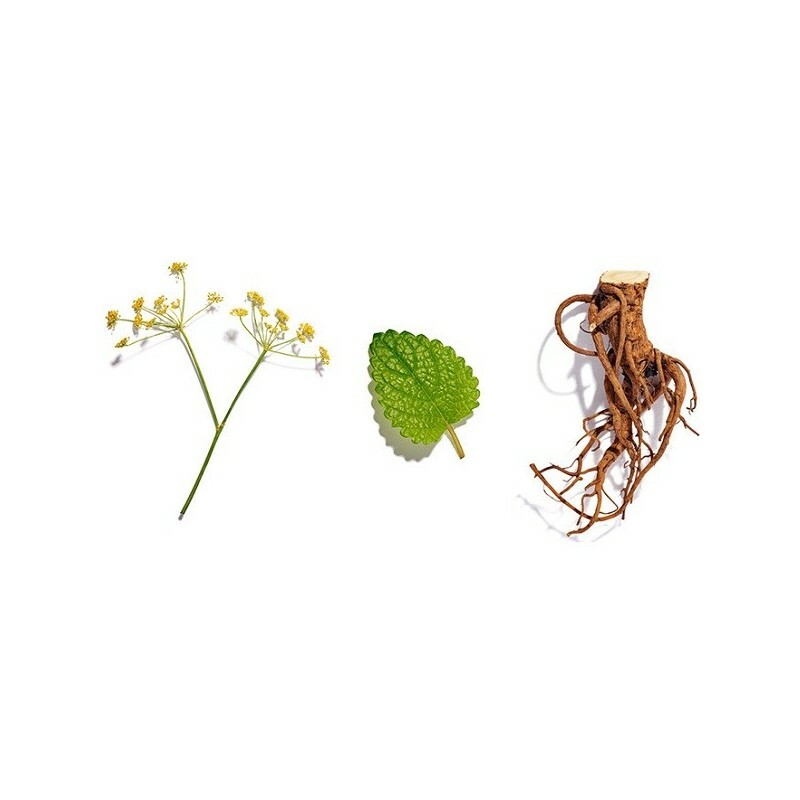 Naturopathically selected fennel, aniseed and lemon balm offer therapeutic qualities that have traditionally been used to support and repair the digestive system. Pyramid tea bags. 50g. Buying this product = 11 Reward points for Members. Your cart will total 11 points = voucher of $0.55. Not a Member? Join at checkout to claim these points. ACO Certified Organic, grown free from pesticides, insecticides and synthetic compounds. Fair Trade, sourcing the majority of ingredients directly from the growing communities and cooperatives who produce them. 1% for the Planet member, donating 1% of annual net revenue to a range of environmental organisations worldwide. Helps support and repair the digestive system. Sweet mint base perfectly balanced with a vitalising zest of ginger. 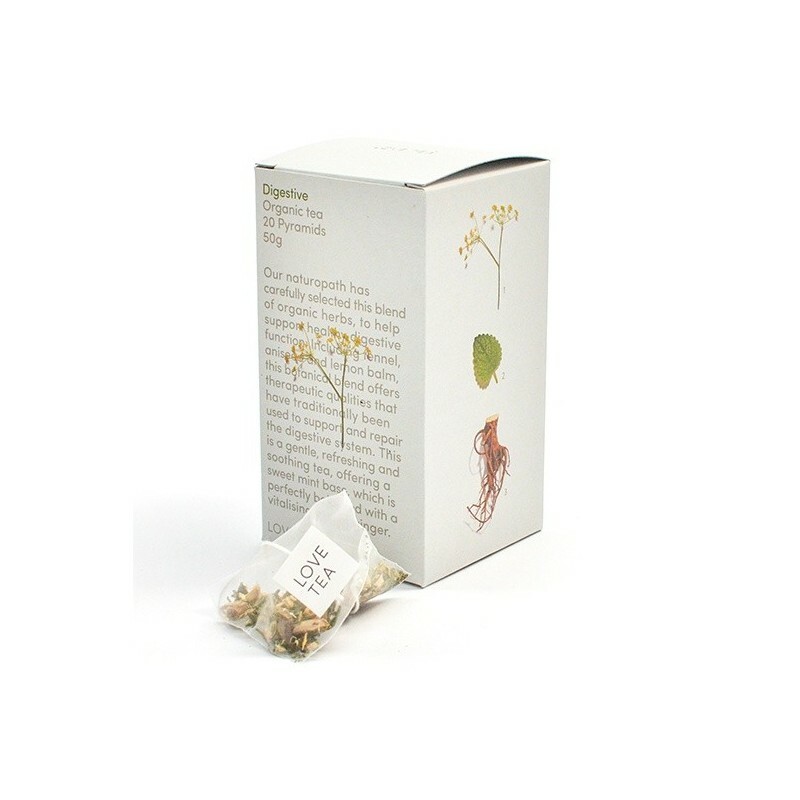 Designed for optimum therapeutic benefit, exceptional flavour and minimal impact on the environment. Certified Organic peppermint, ginger*, licorice root, aniseed, lemon balm, fennel, chamomile. *Fair trade ingredients. Packaged in a biodegradable post-consumer recycled cardboard box and compostable cellophane bag, printed using vegetable based inks. Pyramid tea bags are made from a biodegradable and compostable vegetable starch extract called Soilon. 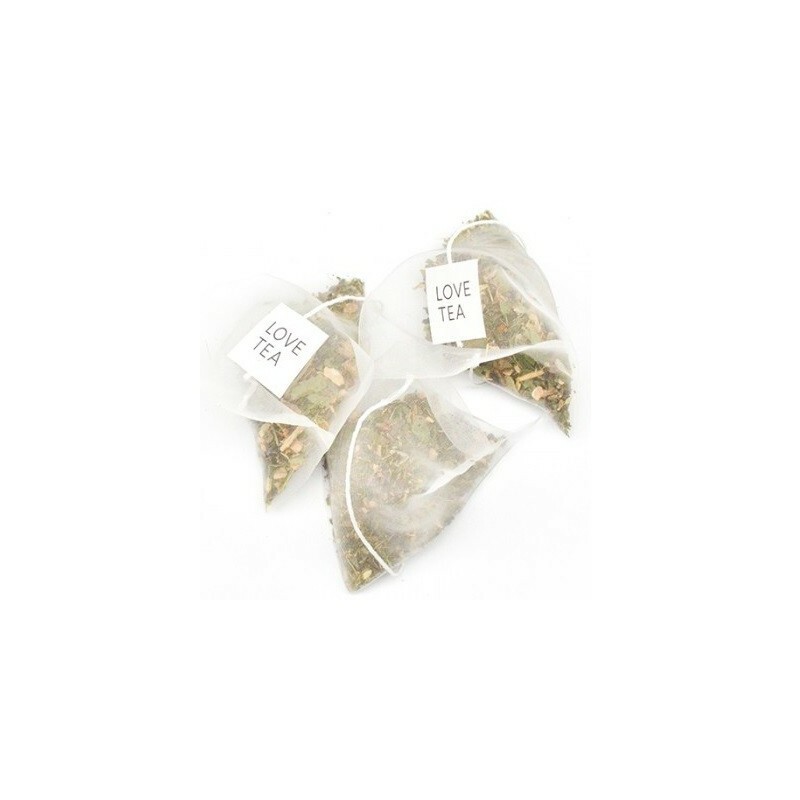 Browse our other organic teas.